To evaluate the efficacy of 0.2% olopatadine and to compare olopatadine 0.1%, ketotifen 0.025% and emadastine 0.05% in the treatment of allergic conjunctivitis. 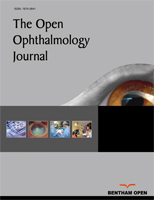 In this retrospectively designed study, we investigated the files of patients who had been diagnosed with perineal or seasonal allergic conjunctivitis in the teaching hospital of Maltepe University between April 2017 and July 2017. We divided the patients into four groups. The patients in each group had similar symptoms and scores before medication. The first, second, third and fourth groups were prescribed olapatadine 0.1%, olopatadine 0.2%, ketotifen 0.025% and emedastine 0.05%, respectively. We evaluated the symptoms and signs of the patients on the 15th day after treatment, and compared the results between the groups. We investigated the files of 80 patients. There were 20 patients in each group. We evaluated the symptoms and finding scores after treatment. The symptoms and findings of allergic conjunctivitis had improved in all the four groups. There was no difference in the treatment responses between the four groups. Olopatadine 0.2%, olopatadine 0.1%, ketotifen 0.025% and emedastine 0.05% were all equally effective in improving the signs and symptoms of allergic conjunctivitis. Keywords: Allergic conjunctivitis, Antihistamines, Mast cell stabilization, Olopatadine, Ketotifen, Emedastine. © 2018 Erdogan and Cam.